You know, when you think of Vikings, you don't tend to think of them just sitting around a fireplace, the walls of the room they're in filled with books. Big, comfy-looking chairs. Sipping tea. One of them has a monocle. Perhaps discussing a bit of poetry. No. You think of them... well... going wild. 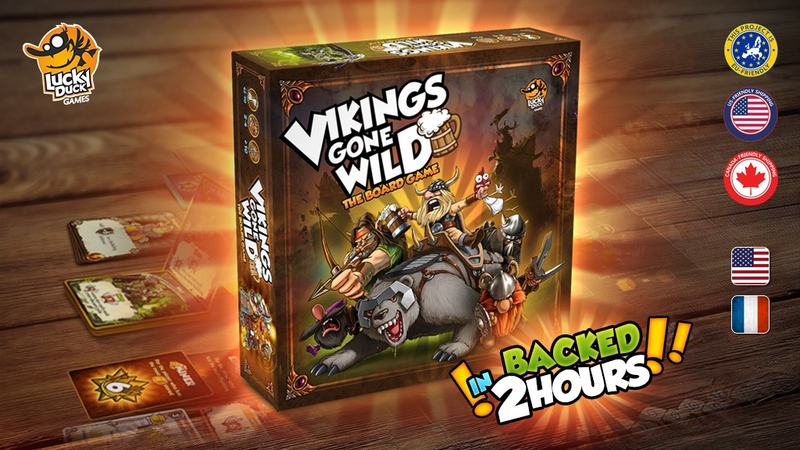 And that's just what they do in Vikings Gone Wild, a new deck-building/resource management board game up on Kickstarter. Through an odd turn of events, I'm in the office. So Monday and Tuesday I was home because I was sick. Now it's Saturday and I'm in the office because my internet is broken at home (overnight storm fried my modem). But all is well. Things are getting done. 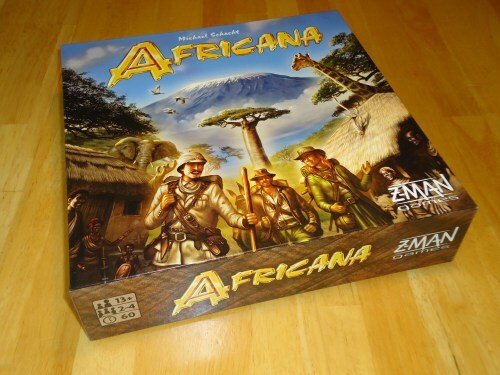 Anyway, as for the roundup, we have: Hoard, ManaSurge, Africana, Vikings Gone Wild, Empires At Sea, Adorable to Horrible, Secret Hitler, Rhino Hero, Descent: Road to Legend, Isle of Skye, Tanks, Escape From the Aliens in Outerspace, Masmorra: Dungeons of Arcadia, and New Earth.